Well, what a night that was yesterday. There were some very surprising results yet again and a few upsets. I am of course mourning the loss of Israel who should have been in the grand final. What a fiery performance Mei Finegold gave last night. I was almost certain that she would sail through but sadly it wasn’t to be. We saw some great performances last night and I would say overall it was a much stronger semi than the first semi final. That being said, it seemed as though there were some technical glitches. From Song 13 onwards, it was apparent that there was sound problems in the hall. Greece, Slovenia and Romania all sounded out of time in places and Tinkara from Slovenia could be seen doing something with her ear piece and trying to signal to production staff. At the end of the show the results also weren’t ready in time, so the show overran. We still don’t know what was causing the delay with the results but Jon Ola Sand, the EBU Supervisor, looked visibly worried. The best performances of the night for me were Israel, Austria, Switzerland and Greece. Conchita Wurst is a well known character representing Austria this year and love her or hate her she sang her heart out last night. It was like watching a winners performance, it was that good. The phoenix really did rise up from the ashes. Israel, as mentioned earlier, delivered a very strong performance. The vocals were spot on and the performance carried so much sass and charisma that I was really shocked when it didn’t make it through. Switzerland and Greece both had lively performances and got a lot of applause from the audience. It will be exciting to see them again on Saturday. 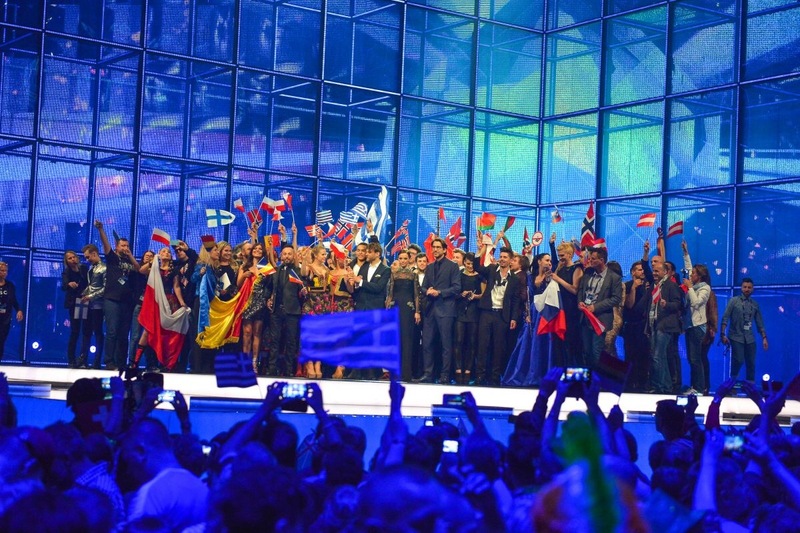 In terms of qualifying countries, I am very happy for Switzerland, Austria, Poland and Slovenia. These countries tend to struggle getting in to the final but all four of them made it. The final on Saturday will be very mixed and exciting. Tonight I will be attending the Jury rehearsal for the Grand Final. This is the time when the national juries all over Europe will vote on the best songs and count for 50% of the overall vote. This basically means that the artists need to bring their “A” game vocally and stand out from the rest. No time for bad vocals here. We have seen from previous contests how badly this can affect the overall score for the country on the night of the final, here’s looking at you Blue for the UK in 2011 and Ryan Dolan for Ireland last year. I will of course write up another blog for you about this show in the early hours, stay tuned! Reblogged this on STUFF BLOGGER ALEX.